In Episode 202, writer Eddie Louise visits an old haunt. She attended university at Napier in the old buildings at Craighouse campus. 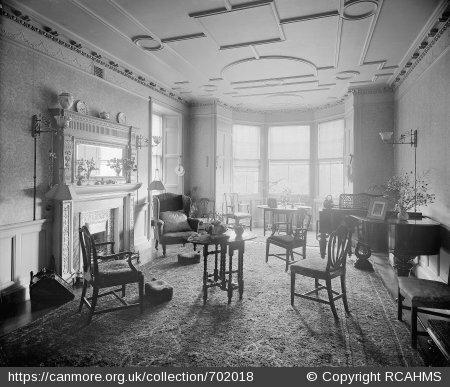 While she was getting her degree in music composition, she became enamored with the glorious building that is a historic house located on Easter Craiglockhart Hill, Edinburgh. The original “Craig House” dates back to the 16th century. 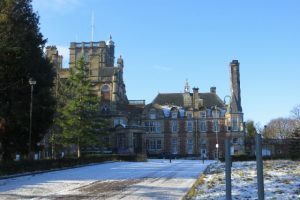 In the late 19th century it was purchased by the Royal Edinburgh Hospital, and developed as Craig House Hospital, a psychiatric hospital. In 1996 the buildings were reopened as the Craighouse Campus of Edinburgh Napier University. 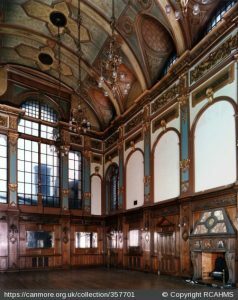 On the left is an image of the newly renovated Great Hall and the right how it looked around the time when Dr Sage visited the hospital. 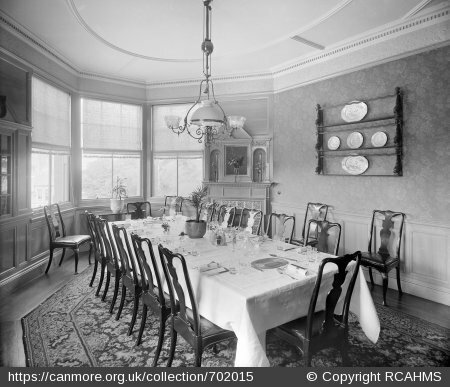 This is the dining room, perhaps the one Dr Sage and Sabanrab (Barnabas) ate at for lunch. This is a sitting room complete with a piano. 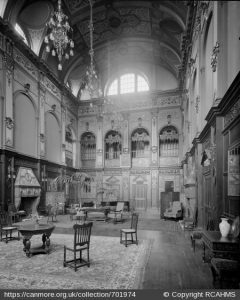 For more images an information about this grand estate, visit historic-hospitals.com.